Editor’s Note: Dr. Peter Kintzer unexpectedly passed away on Thursday, March 2, 2017. Peter was a leader in the veterinary community, and a mentor and friend to many. We will greatly miss Peter’s creative spirit, kindness, and passion for his profession. Dr. Peter Kintzer received his DVM from the New York State College of Veterinary Medicine at Cornell University. He completed an internship at the Animal Medical Center in New York City and followed with a residency in small animal internal medicine at Tufts University School of Veterinary Medicine. Dr. Kintzer spent 5 years on staff at Tufts, followed by almost 15 years as an internist at specialty/referral practices in New England. He was a Field Medical Specialist for IDEXX Laboratories as well as a member of the Pet Health Network medical review board and practiced internal medicine in New England. 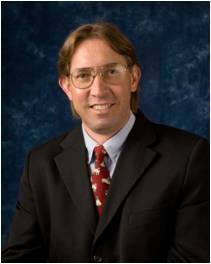 Dr. Kintzer was a Diplomate of the American College of Veterinary Internal Medicine. He lectured nationally and internationally on small animal internal medicine and endocrine disorders, and authored numerous articles and book chapters, most recently for Current Veterinary Therapy XV and the latest edition of the 5-Minute Veterinary Consult.